Definitive management of pregnant females with obstructing stones is also controversial. Traditional treat ment has been temporizing with placement of a stent or percutaneous nephrostomy until the postpartum period in which definitive endourologic management is performed. With advances in intracorporeal lithotripsy and ureteroscope design, ureteroscopic stone fragmentation and extraction has been successfully performed in pregnancy as an alternative to temporary drainage techniques. Despite the gravid uterus, small-caliber semirigid ureteroscopes can typically be placed without difficulty (Watterson et al. 2002). In part, physiologic dilation of the ureter during pregnancy facilitates ureteroscope passage. Since ureteroscope passage is relatively straightforward in pregnancy, the need for intraoperative fluoroscopy is typically minimized, if needed at all. In fact, if imaging is needed, this can alternatively be accomplished with US monitoring (Wat-terson et al. 2002). Watterson and colleagues reported use of ureteros-copy and holmium:yttrium-aluminum-garnet (YAG) laser lithotripsy in eight patients with ten symptomatic ureteral stones and two encrusted stents (Watterson et al. 2002). Treatment was performed at a mean gestational age of 22 weeks (range, 10-35 weeks) and the mean stone diameter was 8.1 mm (range, 4-15 mm). The mean operative time was 39 min (range, 20 - 70) and an overall success rate of 91 % was achieved without obstetric or urologic complications. The authors concluded that modern ureteroscopic techniques in pregnant females were safe and obviated the disadvantages associated with long-term stenting or nephrosto-my tube placement. Favorable results with ureterosco-py have also been suggested by Lifshitz and Lingeman. 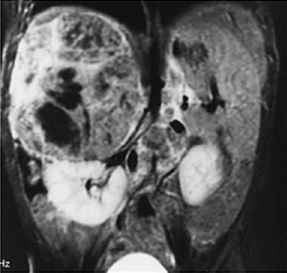 Among ten patients with ureteral calculi in pregnancy, six patients underwent first-line ureteroscopic evaluation without complication (Lifshitz and Lingeman 2002).